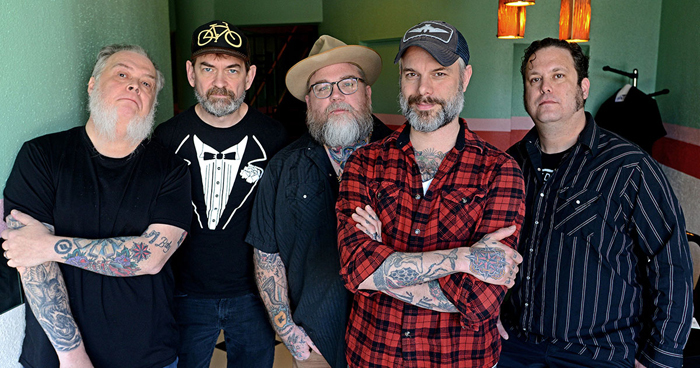 After two decades in the game, Lucero has reached one of those critical milestones as a band: people care about their new music. As many of their peers are relegated to being humored when they play new songs live, Lucero’s fans crave new music, they want the stories singer Ben Nichols crafts from his years on the road, with a heart that’s taken a beating. 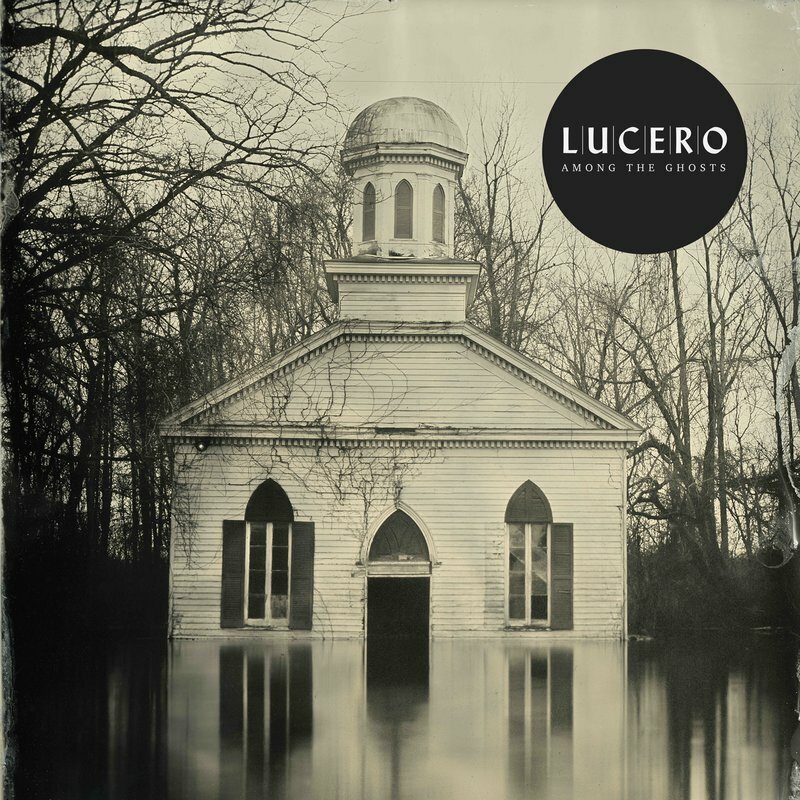 The darkness of Lucero is what keeps people coming back, and always will. On their new record, Among The Ghosts, Lucero have tapped into their hard-living past, the present as the perennial road dogs, but also, what Lucero will mean down the line. Considering the guys in the band haven’t had regular jobs since before they could legally buy beer, it’s an interesting pretense for a core that’s never broken up, but also, evolved together as a unit. A Lucero show isn’t a concert; it’s a drunken hangout. The bar hums with copious amounts of whiskey and the crack of a tallboy. The crowd hollering along is a part of the ritual, a moment with your tribe saying that this room understands you, that this moment, these tattooed jerks can lead you somewhere honest, somewhere that only the baptized understand. For many of us, we see those songs, those moments of anathema as a reflection of our own mistakes. Ben Nichols managed to take when we feel alone and broken, but shapes his pain into an experience that strangers share, and for many, to the point of tears. Lucero’s darkness, their self-loathing, their regrets, shame, the world pushing against them, against us – was the bond, the communion. Fans of the band have a preconceived idea of what Lucero is. The thing is that they’re an emotional collective people feel like they have ownership of. It’s a special place to be in hearts when you can fill a room in any corner of America, and a good 50% of those people have your band’s logo tattooed on them. The songs are anthems that timestamp people’s hearts and mean different things do different parts of the country. For the yankees, Lucero is a band drawn up from the Southern mud, a group that rips apart a room and lets them kick up their heels, hoisting their drinks in hand, shouting along to drinking songs and bummer tunes alike. For the southerners, Lucero is a mixture of country idealism, but with the punk rock ethos so many in the crowd lived through in a pre-internet age, when having tattoos and a Black Flag shirt, but a Hank Williams tape in the car meant something much different than it does today. Lucero even played Alaska, finding a way to give people who are far removed from the continental US something to drink about. When Among The Ghosts was announced, it wasn’t a surprise by any means; Lucero is a prolific band that releases records on a fairly regular cadence. It was just that the optimism of possibility wasn’t there, that we were going to get another Women and Work or All A Man Should Do. While both records have a few solid tunes sprinkled throughout, they’re not the powerhouses that make up the band’s back catalog like the perennial favorite, Tennessee, or That Much Further West or even 1372 Overton Park. Then the songs started leaking out. Lucero flipped the script; they challenged what they’d become over the last few records. While the Stax-heavy horns were an experiment in identity, Lucero is so much more. Lucero is regret in song form but also knowing what life looks like from a lot of lenses. Among The Ghosts captures that familiar darkness that fans craved so much, it broke our hearts again, this time not because the bar is yelling the last call, but because the reality of life on the road, temptation, and sin are all out there, but Nichols isn’t interested. Among The Ghosts is a personal dive into what it’s like to leave children behind, as drummer Roy Berry recently became a father, too. Guitarist Brian Venable has a son who recently toured with his dad for the first time. These guys are living their years out on the road while their children grow, while their hometown of Memphis goes on without them. “For The Lonely Ones” is easily one of the best Lucero songs of all time. It’s better than anything off of the last three records combined. If there was a way to explain what Lucero means, what they feel like, in one moment, the encroaching analog darkness that slithers from the tape and through the vinyl is there, ready to be devoured. “Cover Me” is a howling madman of a tune that encapsulates a yearning, an animal fire that’s not like any of the previous Lucero anthems. While it’s about Butch Cassidy, it feels much more nefarious, which is a good thing. “Cover Me” feels violent, but without a threat. Title track “Among The Ghosts” doesn’t feel forced. Instead, it’s a promise to Nichols wife and child, explaining his world one tortured vowel at a time. This is the Lucero record fans have wanted. This is what Lucero is, intrinsically: those guys sweating it out in a room, figuring out the vibe, their history, but also knowing who they are. While some bands get progressively tamer with each release, Lucero are more punk now than ever. They’ve always straddled a line of punk and country as kissing cousins, there’s nothing the band can do that would shock or surprise the faithful. The blood is on the tracks. Among The Ghosts is the moment that refocuses the dynamic of what Lucero is: While the punk overtones have always been there, “Among The Ghosts” is a statement, that despite what changes in their lives, how they grow, those boys from Memphis with all them tattoos, still have plenty of darkness to mine from. Among the Ghosts is available tomorrow everywhere.